As you may or may not know, Put-in-Bay is on an island (South bass Island) and the lake (Lake Erie) ices over in the winter. So the only way to get off or on the island is by airplane after the ferry stops running. This locks in the island residents who enjoy a very quiet winter. Only a few community events such as school sports and town hall meetings provide social outlets, other than Tippers. Traditionally, for the past 20 years at least, Tip Niese has kept this island mainstay open all winter long for the local community. Tip passed away last summer and just last week his kids decided that they would close the restaurant for the winter and give everyone a break. With The Skyway closing down 8 years ago, there are now no island dining options available in the winter. Tippers Steak House became known to island residents and regulars for the meat-cutting skills of former owner, Tip Niese, who also ran the grocery store. Thursday nights always have a great steak dinner special, usually a strip steak or a porterhouse. The prices are incredible and the flavors delicious. Friday evening, beginning at 5:00pm, is the Seafood Buffet. 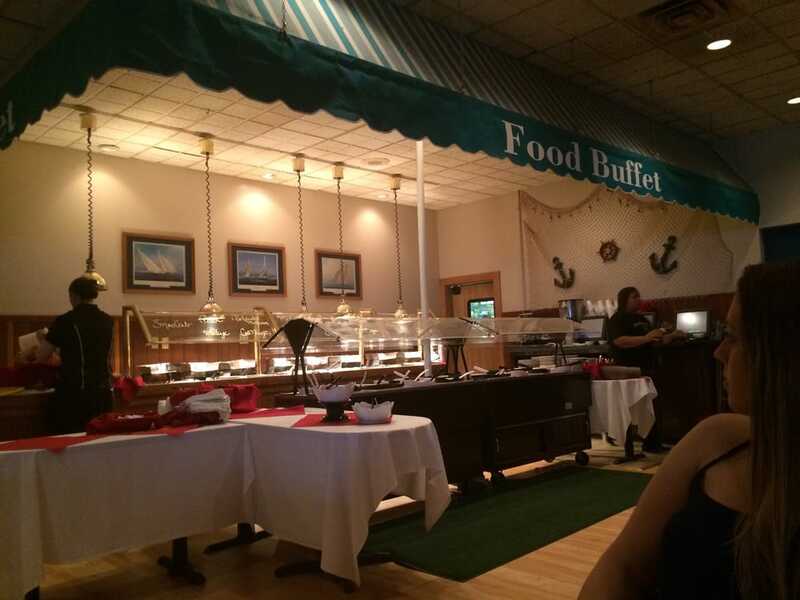 This buffet features Snow Crab, Chilled Shrimp, Steamed Clams, Seafood Entree, Roasted Boneless Pork Loin, Roasted Carved Round of Beef, Potatoes or Pasta, Vegetable, Salad Bar & Dessert. Saturday evening, beginning at 5:00pm also, is the Prime Rib Buffet, featuring Prime Rib, Baby Back Ribs, Chicken Entree, Potatoes or Pasta, Vegetable & Salad Bar. Guest of Tippers Steak House don’t go home hungry!